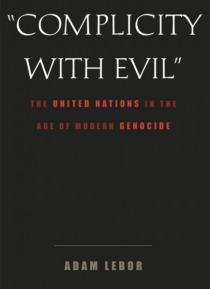 Milosevic.� More recently, in 2003, urgent reports from UN officials in the Sudan detailing atrocities from Darfur were ignored for a year because they were politically inconvenient.This book is the first to examine in detail the crucial role of the Secretariat, its relationship with the Security Council, and the failure of UN officials themselves to confront genocide. LeBor argues the UN must return to its founding principles, take a moral stand and set the agenda of the Security Council instead of merely following the lead of the great powers. LeBor draws on dozens of firsthand interviews with UN officials, current and former, and such international�diplomats as Madeleine Albright, Richard Holbrooke, Douglas Hurd, and David Owen.This book will set the terms for discussion when UN Secretary General Kofi Annan steps down to make room for a new head of the world body, and political observers assess Annans legacy and look to the future of the world organization.